Winter 2017/18 Auction Just Gone Live! 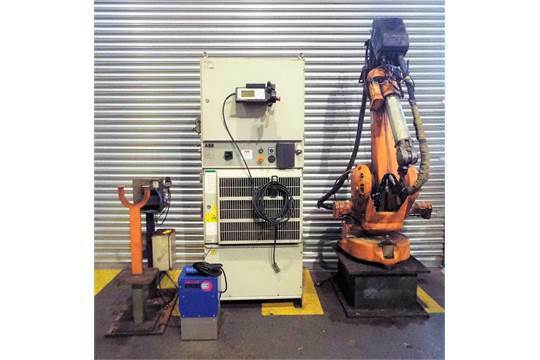 Auction of A Quantity of ABB Robotic MIG Welding Equipment, a Radial Arm Drill, CMMs, Metallographic Preparation Equipment and a Large Quantity of Misc Measuring/Gauge Equipment From a Tier One Automotive Supply Company Just Gone Live! … typically comprising of ABB-IRB -2400L and 1400 Robot Arms, Control Cabinets, Teach Pendants, ESAB MIG Welding Power Sources, Abicor Binzel Process Cooling Units, Bulls Eyes. See individual lots for details. Available singly. Click here to go to our online brochure. 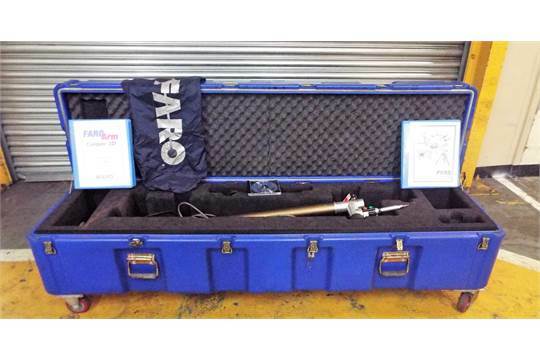 This is a used Faro Portable Measurement Arm complete with OEM instructions and housed in a custom fit wheeled case, so that transportation to/from site is easy. 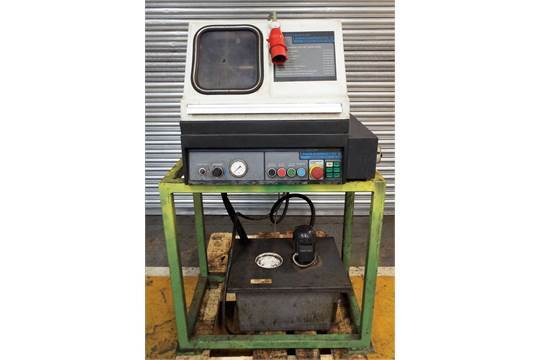 These items rarely become available in the used inspection and test market and although is out of calibration at point of sale, represents an excellent opportunity to make a considerable saving on an equivalent new model. Used Buehler Abrasimatic 2 automatic abrasive cutter complete with coolant tank & pump. Mounted on portable table for ease of removal/positioning. Model No – 95-2829. Serial No – 580-MGTV-990. 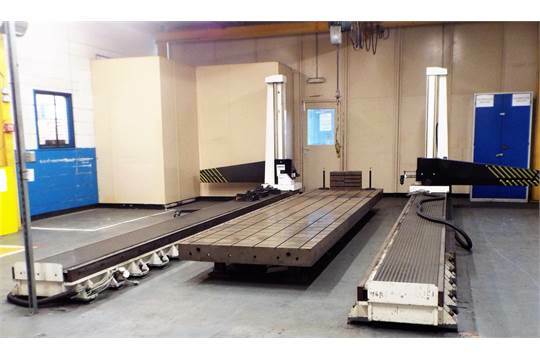 Used Status Horizontal Dual Arm Coordinate Measuring Machine. Arm – Serial No – CN5306. Slave Arm – Serial No – CN5307. Complete with : 1 x Measuring Table. 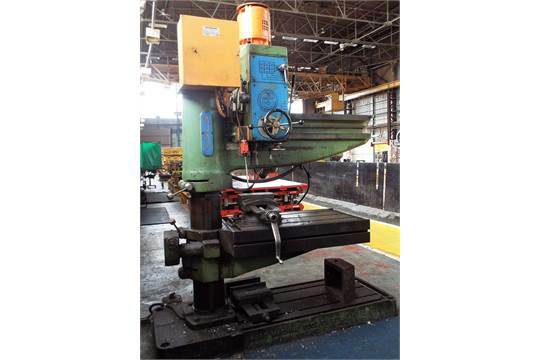 1 x Renishaw Measuring Head (PH10M). 3 x Renishaw PHC 10 (Probe Head Controllers). 2 x Renishaw PHD 10 (Probe Head Drive Units). 2 x Box Tables (nominal 300 x 255 x 300mm). 1 x Complete Gantry Overhead Crane with pendant hoist (500Kg SWL) comprising 10 Vertical Uprights,4 Cross Beams & 1 Centre Beam. Nominal Overall Dimensions. Master = 7200 Depth x 2050 Width x 2400 Height. Slave = As Above. Table (Steel) = 5400 x 1200 x 50mm. Gantry Crane and Hoist = 14200 x 8200 x 3500 (Depth x Width x Height)*. Note there is no operating software or monitor with this lot. Buyer to provide a full set of RAMS prior to disconnection and removal which must be approved by our cleint or their representatives. * Being offered as a separate lot in Lot 8a. Plus a quantity of CMMs and measuring equipment. Click here to go to our online brochure. Never bid before in an online auction? It’s easy, but you will need to register first! Click here to go to our guidance on registering and here for Bidspotter’s help page. And if you have any problems, just call us – just don’t leave it too late!